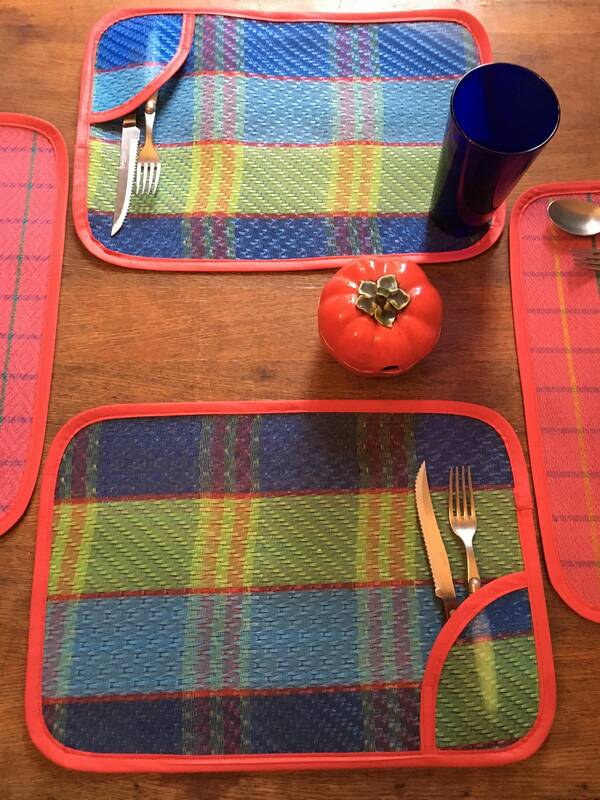 These placemats are perfect for a gorgeous and festive colorful table setting. 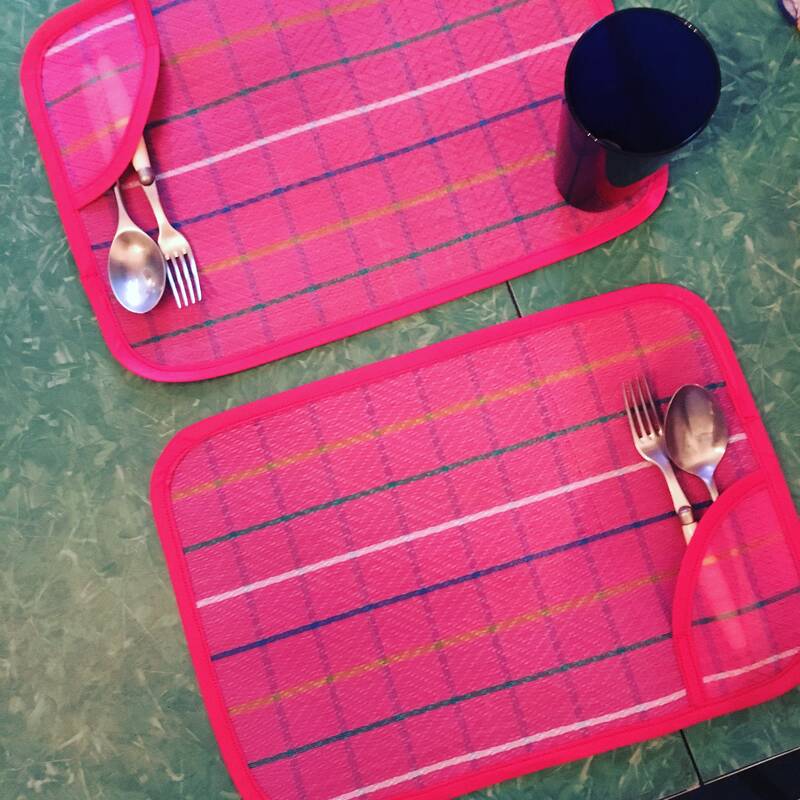 We make these placemats from the beautiful finely woven recycled plastic Mexican mesh material that is commonly used for Mexican market bags. 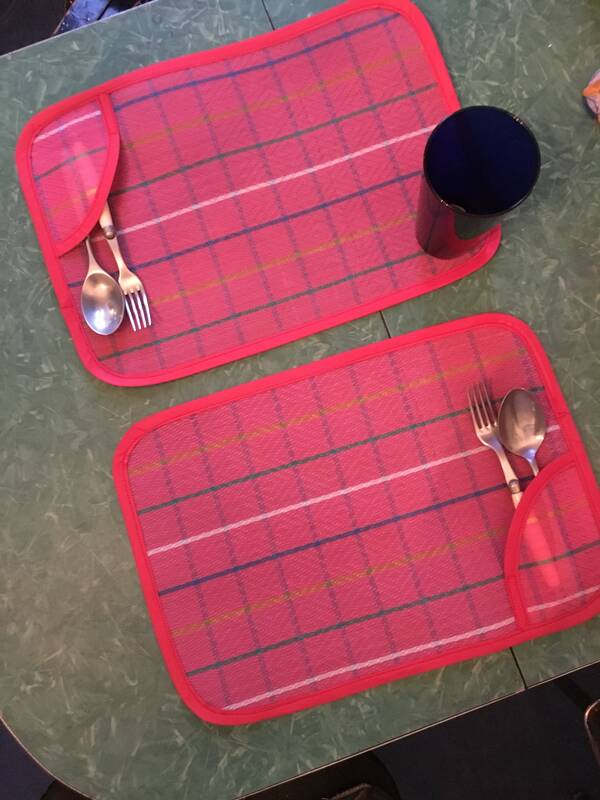 This is a set of 4 placemats with a convenient pocket for napkin and utensils. 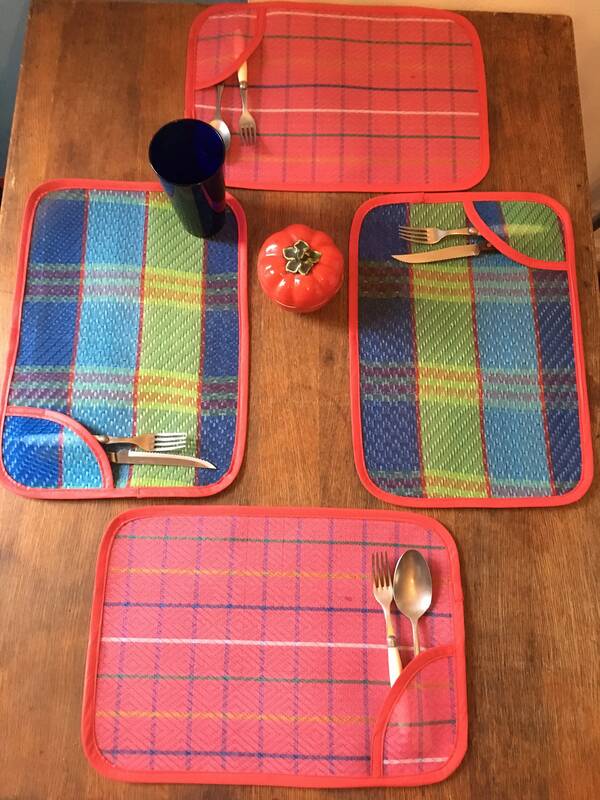 The set would come with 2 pink and 2 blue plaid mats unless specified. You can order all four in one pattern if you like, just leave message on order. We have a variety of other colors and mesh plaid patterns available, so feel free to contact us for additional pics of available patterns. Easy to clean and store away.